One of my favorite tabletop co-op games of the past few years has been The Lord of the Rings Living Card Game put out by Fantasy Flight Games. Over the weekend, Asmodee and Fantasy Flight announced they'll be bringing the title to the PC next year. I am so stoked! The main idea behind the game is that you construct a deck comprised of things like characters, equipment, and beneficial effects in order to guide three heroes through a preconstructed encounter deck. In other words, it's you vs a deck that plays itself. When playing with a buddy, each player constructs their own deck and chooses their own set of heroes. The game encourages table talk between allies so they can best plan out their strategy, and basically draws the line at having the players show one another their cards (in more formal tournament settings; when playing at home with a friend, anything goes!) There are a variety of encounters to play through, and more have been added over time via card packs. In bringing the game to the PC, Asmodee and Fantasy Flight are making it a free-to-play title where players will be able to purchase those aforementioned packs. As a "living card game," the content of those packs are preset and are not randomized in any way; meaning you can buy the packs you want and know you're getting the cards you want out of them. It's not a bad way to handle the whole microtransactions thing. I've played quite a bit of this game with the missus before a little addition to our family sucked up most of our free time, so I'm hoping this will provide us with an opportunity to play once again. 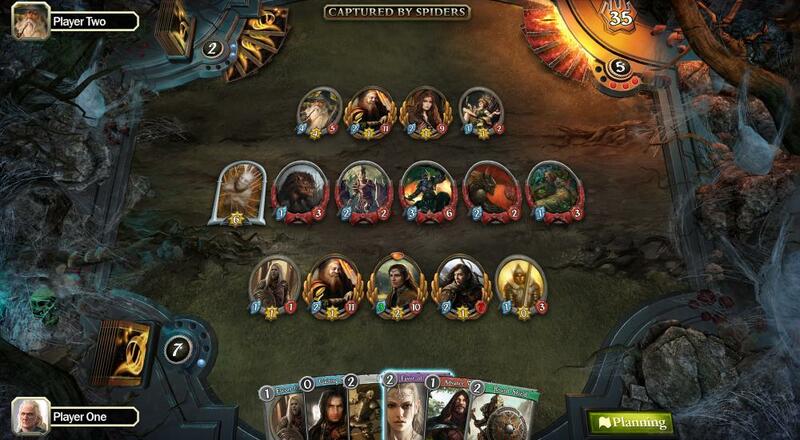 The Lord of the Rings Living Card Game will be coming to PC and Mac next year as an Early Access title with a full release later. Initially, the game will be single-player only, though it will support two player co-op at some point. Page created in 0.9373 seconds.